Care to guess how often we have worked on his ABCs? Unless you count our library story time and silly singing, little to none. And yet he had picked them up. 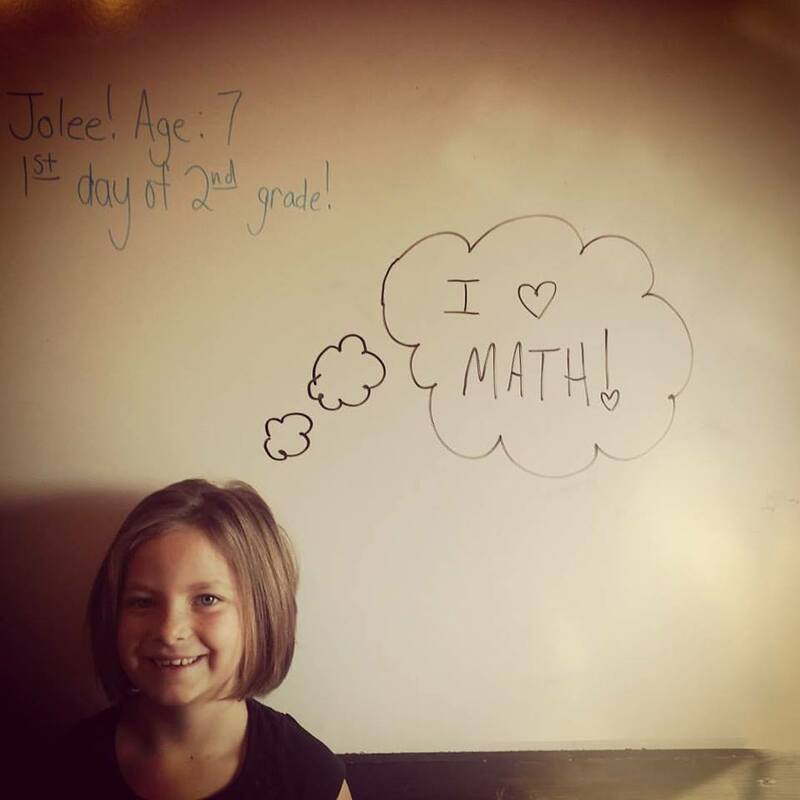 Her older sister has taken to begging for all things math. I don’t pretend to get it. THIS IS THE QUOTE SHE CHOSE FOR HER FIRST DAY OF SCHOOL PICTURE. I may need a maternity test…is that a thing? Baylor asked me for harder marine biology courses. A kind friend even sent her college textbook to him last year. I’m not bragging. And I’m most definitely not doing anything special here. Honest Abe. All I’ve done is learn to get out of my children’s way and let them take off. 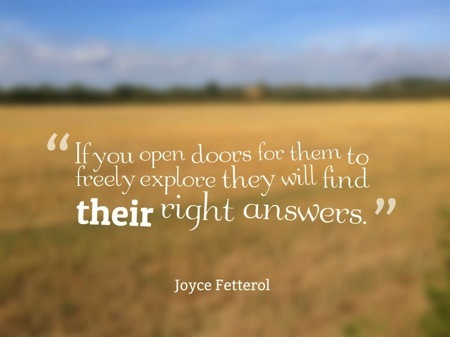 Let them go where the curiosity leads. Kids are naturally curious; any mother of a child that’s hit speaking age knows this. The problem begins when we smother that little flame; with ideas of the pace they should go, with ideas of what they need to know and when they need to know it. Have you ever asked yourself if those deadlines are for them…or for you? I asked myself, and I didn’t like the answer. I took a deep breath, and I let go. Of a lot. And it was scary. But I saw their flame grow larger. And brighter. And I felt sorry for wasting our precious time and not trusting their curiosity to guide them. I don’t want to stifle the inquisitive nature they’re born with, or squash the innate drive to learn. Learning only becomes a task when we adults make it one. I found myself really burnt out at a really early age- someone saw the spark in me and, while good-intentioned, didn’t bother to learn what would be oxygen to it. So I was pushed in directions I didn’t always understand and that rarely interested me. My drive came from pleasing others, and that didn’t hold up for long. The beauty of being an adult, I suppose, was being able to be curious yet again on my own terms, and that flame rekindled…but why shouldn’t the kids have that, too? With this approach, so far, my children have successfully managed to cover the “core” of what is grade appropriate, and often beyond. Just ask any of the many people who have decided to quiz them upon discovering that we homeschool. I can’t say it enough: kids will choose to learn when they’re allowed the choice, and they will absorb it far better when they’re the ones initiating. I know how foreign that may sound in our world of standardized tests and lists of things that kids should know before kindergarten, because it did to me at first. But just try it and see; you are sure to be amazed. Next > What Fear Does.